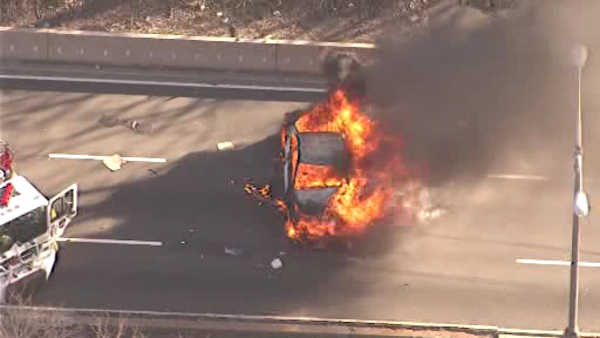 WEEHAWKEN (WABC) -- A car became engulfed in flames in Weehawken Thursday afternoon, causing major problems for the rush hour commute. It happened on the inbound side of Route 495 near Kennedy Boulevard on the approach to the Lincoln Tunnel. Explosions were heard inside the vehicle. Traffic is backed up all the way to the New Jersey Turnpike. There is no word on whether anyone was injured.